Club Penguin Cheats by Mimo777 Club Penguin Cheats by Mimo777: Reviewed by You: Jokes! Last week Club Penguin asked What are your favorite parts about the party so far? What's the scariest monster costume you can create? My favorite part of the party so far is how you could actually scare people with the event costumes. My best monster mash-up costume has the body of Space Squid, the head of Hardsrcabble, around its neck is Tusk's cloak, and it holds a shovel. I call him 'Squidolofulous'(Sk-wee-did-off-oh-lus). He digs up graves and scares the skeletons inside to practice his scaring skills. As for this week, thinking back to the release of Puffle Digging... They wanna hear your best puffle or pet joke! They'll pick one comment to feature in next week's Reviewed by You. If your review is featured next week, 10,000 coins will be added to your account! 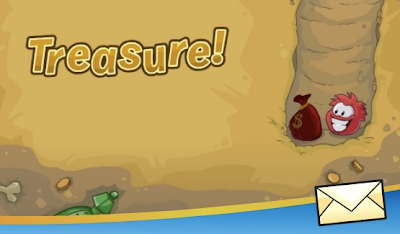 Don't forget to use your penguin name so they can add the coins!